We’ve broken down each type of broadband, from basic ADSL to ultra-fast fibre. We also clear up the copper myths surrounding the loss of copper networks when upgrading to fibre. Figuring out the best internet plan has never been simple. There are different speeds, technologies, data limits, and prices. And this is before weighing up deals for having your landline, mobile or a TV package with the same company. It’s confusing, but we’re here to help. We’ve broken down each type of broadband, from basic ADSL to ultra-fast fibre. We explain what you can expect from each one as well as its potential limitations. Speeds vary considerably depending on several factors, but we’ve given what you can expect under “normal” circumstances. We also looked at what you can expect from a typical plan. Some plans come with data caps, though most broadband plans are unlimited. Fibre and cable connections let you buy different speed packages. However, the higher the speed the more it will cost. We also clear up the myths surrounding the loss of copper networks when upgrading to fibre. Broadband is at a tipping point. On one side you have ADSL and VDSL, which are dependent on the old copper network; on the other are wireless and fibre, the future. Fibre uses light to send data, offering much faster speeds without the worry of line congestion. 4G wireless technology, using the mobile network, is getting faster but isn’t close to fibre speeds. However, it can reach parts of the country that copper lines and fibre optic cables can’t. You may have heard your internet service provider (ISP) talking about “the exchange” or “the cabinet”. The exchange is where your connection joins the network; the cabinet is a junction on the way to the exchange. Cabinets have a finite number of connections, so if your area requires a lot of connections, there may not be room for a new connection without adding a new cabinet. If you’re on a copper technology, the “last mile” (the distance between your home and the exchange) is a bottleneck for speeds. Fibre removes nearly all these issues as fibre optic cables have no signal degradation. Data speeds are measured in Mbps (Megabits per second) and are often called bit-rates. To transfer a gigabyte (8000Mb) at 10Mbps takes about 13 minutes. If you’re using a streaming video site, then internet speed affects how the content looks. Slow speeds mean a grainy image. If you’re curious about the speed you might get while streaming, there are websites that give a good estimate. Fast.com (owned by Netflix) and SpeedTest.net are popular choices. For more information, see Streaming video services. ADSL (asymmetric digital subscriber line) uses copper lines. It’s the oldest and most common form of broadband. Generally, you need to be within 4km of an exchange to get ADSL. ADSL costs the same as VDSL. It’s harder to get ADSL in rural areas and often has slower speeds, due to longer distances from the exchange. Speeds can suffer at peak times due to congestion from multiple users. Download speeds are much faster than upload speeds, which can be an issue when uploading. VDSL (which stands for the terribly named very-high-bit-rate digital subscriber line) also works on a copper network but delivers much faster speeds than ADSL. VDSL costs the same as ADSL, which makes it a better option. However, VDSL is more dependent on distance to the exchange than ADSL, so you need to be much closer (preferably within a kilometre). Speeds are affected by the same factors as ADSL, such as slowing down during peak times. This is delivered via coaxial cable. It’s capable of much quicker speeds than ADSL and VDSL, as it doesn’t use copper over the “last mile”. Vodafone owns the only cable networks. They are in Christchurch and Wellington, and only certain areas in these cities can access the network. If your home can access the network but doesn’t have a terminal, you’ll have to pay to install one. In 2016, these networks were upgraded and plans have been rebranded as FibreX. Don’t be confused: FibreX is not the same as fibre (see below). In optimal conditions, cable speeds are comparable to fibre. However, it suffers badly from congestion, so the more people in your area with cable the more likely your speeds will suffer, especially at peak times. Many users on the FibreX service have complained that speeds drop to sub-ADSL levels. Cable plans can be cheaper than ADSL and VDSL. But higher maximum speeds cost more. As cable can also deliver a TV signal, you can add Sky TV to your plan. Fibre is the generic name for Ultra-Fast Broadband or UFB. The fibre refers to fibre optic cable. By using light to send data, it can travel faster and there’s less loss in the lines. It’s the fastest service and also has the fastest uptake of broadband plans, with 258,000 users being connected by March 2017. The government pushed out its deadline for free installation of non-standard installs until the end of 2019. This is part of its effort to get as many people on to fibre as possible. We recommend you switch to fibre if you can. Once fibre has been laid in your street it needs to be connected to your home. This installation is free for most homes. We’ve heard from many members who have been waiting for this part of the installation, so don’t expect it to happen overnight. The basic plans are in the same price range as A/VDSL, but you get much faster speeds. Unlike other technologies that use a physical connection, fibre doesn’t suffer if there are simultaneous connections. Also, it’s easier to get symmetrical plans where upload and download speeds are the same (often listed as 100/100). The highest possible speeds come from gigabit plans, where you can expect 900Mbps. Because the system doesn’t use copper lines, if you want a regular phone line you’ll need to either keep your copper connection or get a phone that works on fibre. Both options cost extra. Any house within 200m of its boundary to the road, which is most houses, can get fibre installed for free. The 200m limit is applied on a pro rata basis for residences with shared access. For example, three houses sharing a right of way would have up to 600m of free installation length. Fibre connections are also free for people living in a multi-unit complex that is three storeys or less. For higher multi-unit complexes, the first $1000 of installation costs per tenancy is covered. Costs above that must be covered by the unit owners. The further you are from an urban area the harder it is to get broadband internet through a physical connection. The 4G mobile network is capable of speeds comparable to ADSL. However, wireless broadband can suffer the same coverage and connection issues as your mobile phone. If you get poor phone reception where you are, there’s a good chance the wireless broadband coverage will be the same. The set-up for wireless broadband is simpler than installing a fibre broadband connection. In most cases, your ISP will install a directional aerial on your roof and run cabling from the aerial to the supplied modem. Like UFB installs, if you require, or want, more than is “standard” (for example if the aerial is on a second-storey roof), you may end up paying more. The speeds are in the ADSL range in ideal conditions. Wireless can also suffer from user congestion if a lot of users are connected to the same transmission tower (which is the equivalent of a cabinet). It’s the most expensive form of broadband because all plans come with data caps. You may not be streaming movies as often on these plans. There are other broadband technologies that are also called “wireless”, such as satellite. 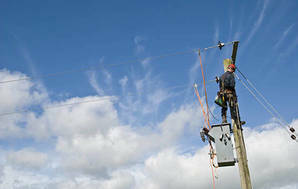 For more information on rural options, see Rural broadband. We clear up the myths surrounding the loss of copper networks and explain how it will affect you. Once you’ve got the broadband connection sorted, you need to create a home WiFi network. For this, you’ll need a wireless router. Sometimes a modem and router will be integrated but if not, it’s simple to get a router by itself. The position of your router in your home is important. The more walls a WiFi signal has to pass through, the weaker it gets. 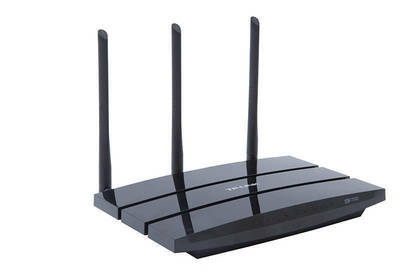 If the router has multiple antennas, you can move these to get better signal coverage. You can also consider a WiFi range extender, they repeat the signal throughout parts of your home, meaning you can increase signal coverage. Industry standards have been set so devices can talk to one another over WiFi. You may have heard of the 802.11 b, g, and n standards. Of these, n was the latest and fastest iteration. The new standard is ac, which works on the 5GHz band and can deliver estimated speeds from 500Mbps to 1Gbps. 802.11 ac should be used by most new devices. 2.4GHz and 5GHz are the two main bands used by routers. The 5GHz band is able to transfer more data and is considered a more stable signal. The ability to broadcast both bands simultaneously means you can keep devices on separate networks if needed. For example, if you set up a guest network. Remember to name your network (called an SSID) to differentiate it from your neighbours; you’ll need to know this when connecting your devices. You’ll need to secure the network too. A wireless router broadcasts your information over the air, and an unencrypted signal could be picked up by anyone with WiFi equipment and within range. All routers come with software tools to enable encryption and protect your network from unauthorised access. You do this by setting up a security system like WPA (Wi-Fi Protected Access). This is part of setting up of your router and is basically setting a password for the network. We recommend using a strong but memorable password. Remember, you’ll need this password to connect any new device to your network. My mother lives rurally. Fibre is not available. But Spark are charging her $5/month extra because she's not on fibre. Are there any options beyond changing provider? Because this seems grossly unfair to me. I'm tempted to tell her to insist they install fibre. We'll need a little more information from you to be able to help. If you'd like to email our advisors at info@consumer.org.nz we'll get back to you and see what we can do. Just about everyone needs a mobile these days these days but getting coverage is something else. We were forced to go the other sort of wireless because we could not get cellular at either our lifestyle block or our beach cottage, neither of which is remote. 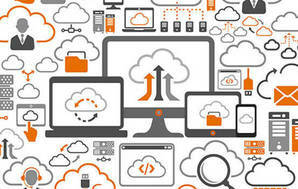 We use inspire.net at both places for both Internet and phone and find it an excellent service. When 100 is slower than 30? Recently Spark offered a years free trial of 100 speed vs their standard fibre 30 speed which I already had as part of my mobile package upgrade locked into my home phone and BB which also got upgraded to unlimited Gbs. My internet is now worse, not faster and streams frequently now whereas it didn't do this before. They took out the copper line and I live in an area with frequent power outages so often no phone, no internet. Chorus wanted to run the cable the most ridiculous route and I helped them install it here and at a friends more logically. I plug the laptop into the ethernet rather than use Wifi now. Its hard to believe with all the upgrades I'm worse off, but there you go, It's a fact! I used a netgear modem with asdl and then upgraded to fibre. When i changed over i found in order to use the phone line (VOIP) i had to use Vodafones supplied huawei modem. Although the download speeds are faster for larger documents i found the processing speed of the modem slowed everyday web browsing down. At this time there doesn't seem to be many fibre and voip compatible modems out there. Can consumer shed any more light on this? There are a number of VoIP-enabled routers available. But the router isn’t the only way to access VoIP. You can also have a phone line in your house enabled for VoIP and then plug your phone directly into the jack. This will likely require a visit from a technician. It would be best to talk to Vodafone about what you need and discuss your speed issues. These quick connect buttons are a security hazard. They provide a way for someone with the right software to get access to your internet connection - and use it for free. By default these are usually on. When you set up your devices I would recommend turning the feature off in the router control panel. If you need to add something later like a new printer, you can always turn if back on and then off when connected. Yes - most people will be using wifi at home but the wifi router supplied by the provider may not be satisfactory - either in wifi speed or range. Our connection is at one end of the house and to reach the other end of the house I wanted to use WDS bridging - a pretty standard feature of wifi routers. That would allow me to put another router towards the other end of the house to extend the range. Unfortunately the Technicolor tc7200 supplied by Vodafone for their cable network has had this feature deliberately disabled. I've turned the wifi on that router off and had to install a piggy-backed second wifi router which has WDS enabled to reach the bridged router. The only thing keeping me with Vodafone is the cable tv - you have to have their internet package to get the tv service! Can you comment on the speed tests you link to. Most people now are on wireless and the speeds you identify would not necessarily what they get over their wireless connection to their end device. I had fibre installed and, unfortunately, was not at home when the installation was carried out (my son was). The installation was shoddy, to say the least. Clearly Chorus are under a lot of pressure to get as many installations done as quickly as possible, but it is at the expense good workmanship. If you are getting fibre installed, make sure you (yourself) are at home when it is done, and insist on it being done tidily. My installer ran the fibre down the side of the house, through the foundation vent, and up THROUGH THE FLOOR (!) and OVER THE SKIRTING BOARD (!) to the inside module. She probably had to crawl under the house to do this. Not only did she make it hard for herself, I was astounded she thought this was acceptable! I am concerned with the approach taken by some ISP's in their communications with people, particularly those who are not tech savvy for various reasons. I have seen letters sent to elderly people worded in such a way that they are fearful they are about to lose their telephone connection unless they swith to fibre. While there may be some speed benefits with fibre, if you don't use the internet and just have a home phone there is that slight backup of the copper system being more likely still on line if your power goes out, and why should a person who JUST has a home phone have to fork out for a UPS? I encourage my older friends to have an emergency cellphone (Christchurch EQ taught us a lot of lessons ...) but again because they don't all use them all the time it is a fact they are more comfortable with the copper landline. The letters should be much clearer as to the fact their copper landline is not imminently in danger of not working any more. NZ has gone with gigabit passive optical networking (GPON) because it's cheap, but it also has the downside that it's in effect a digital party line. It's a very fast party line, but it's still a party line. This means that as usage grows, it may end up quite congested. We don't really know at the moment, we don't have enough operational experience to tell if there will be problems in the long term.